View from the ship on the water on large industrial pipes. 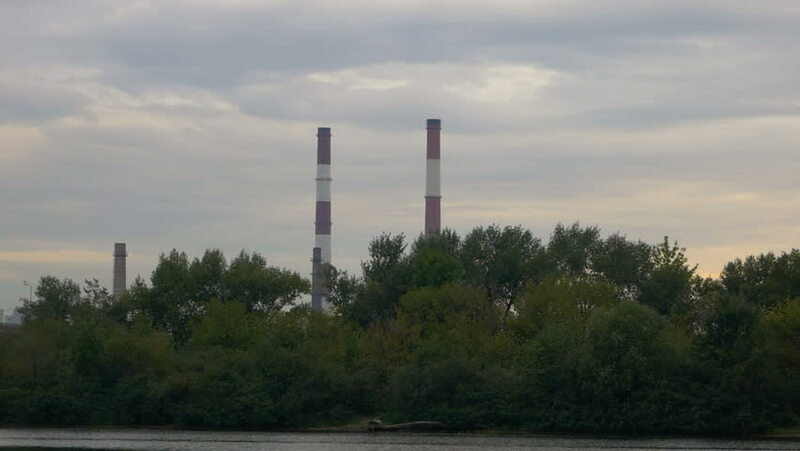 Factory chimneys at sunset. Environmental pollution.